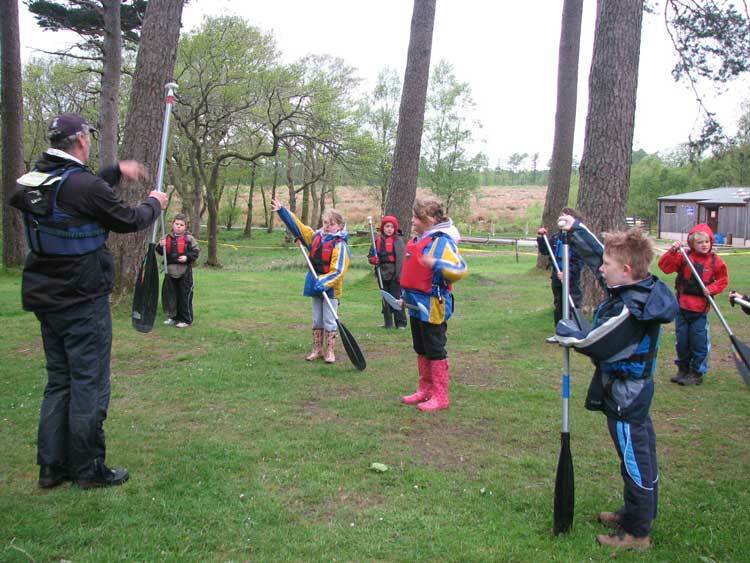 Local school children practicing their safety and paddle drills before setting off to canoe from Ennerdale Scout Camp. 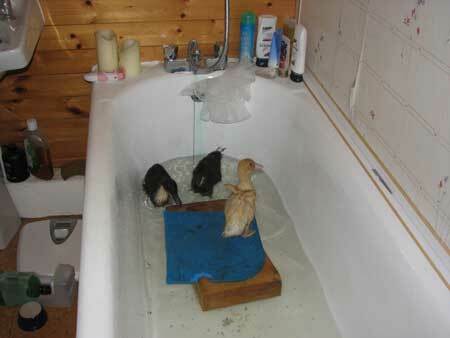 Paddlling practice for Carol's latest charges, she hatched them in the incubator, they were supposed to be Aylesburys?? 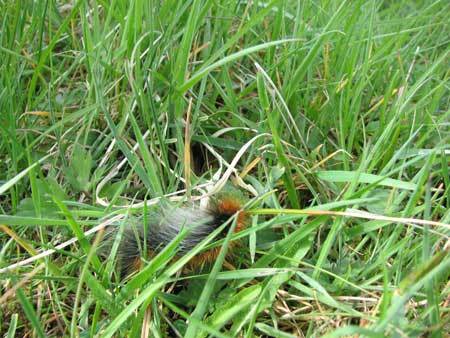 A hairy caterpiller that looks like it has been crossed with a herdwick sheep? Anyone know what it is? 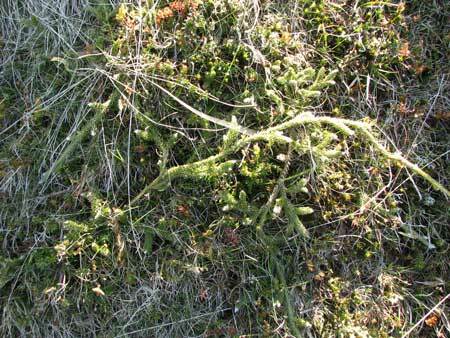 Staghorn Clubmoss? 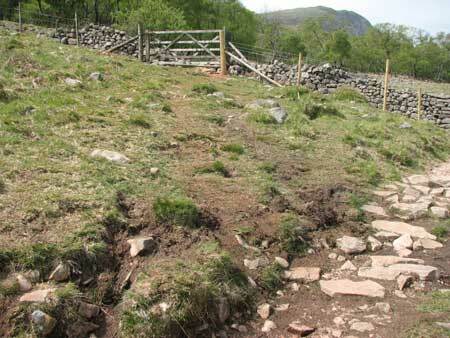 This was found on one of our 'Keswick Mountain Festival environmental walks. A footpath diversion / realignment, this the original course but has very quickly resulted in erosion due to poor signposting. 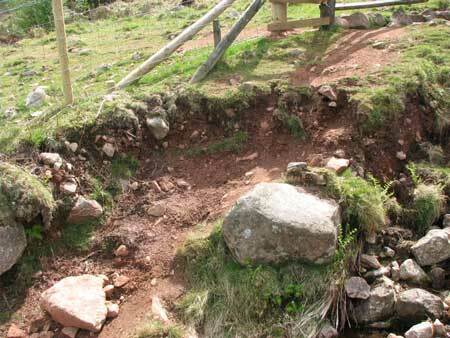 I hope this erosion will not cause the fence and gate post to collapse. 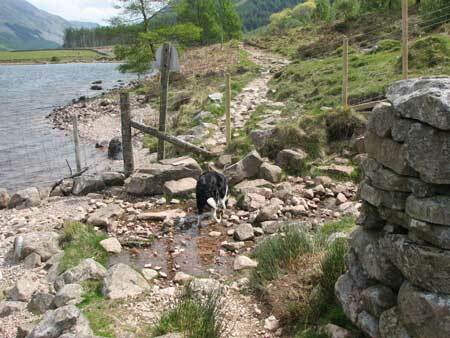 This is the old line of the path along the lakeside where the stile has been removed, as you can see this level path has suffered very little erosion. At a time when the native fish arctic charr, brown trout and migratory sea trout and salmon are in serious decline. Shouldn't we be doing our utmost to prevent erosion problems damaging spawning beds in the valley. Carol's lido. 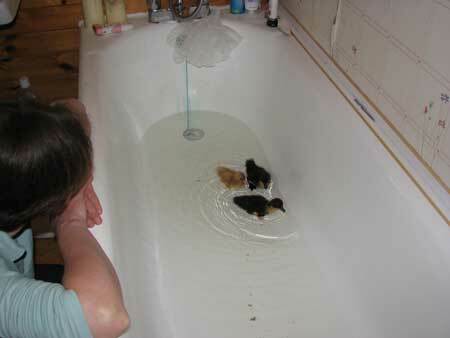 more swimming and diving lessons.